An Order by the Land Commissioners in 1889 contained a schedule of two farms owned by Reginald Joseph Weld. These were the 713 acre Newlands Farm and the 474 acre Hanbury Farm, both tenanted by Edward John Dent. 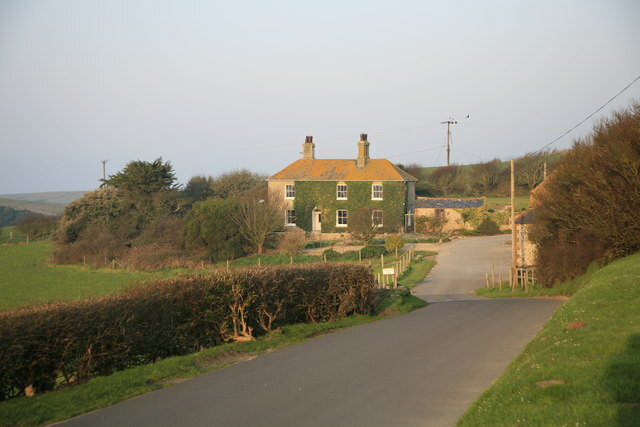 The great peripatetic philosopher Bertrand Russell rented Newlands Farm with ]. E. Littlewood during the summer of 1919 and wrote letters from here. Circa mid C19. Attached to main barn, forming north range of courtyard. Flint walls with brick dressings. Modern concrete tiled roof. Brick stack. South elevation, facing courtyard has, on ground floor, one fixed window, one horizontally sliding sash window with centre bar, and one casement window with centre bar. First floor has two horizontally sliding sash windows with centre bar. North elevation has ledged door. Ground floor has one horizontally sliding sash window and one casement window, both with glazing bars. First floor has two casement windows with glazing bars. Single-storey brick lean-to extension on north. Later brick porch in west gable wall. 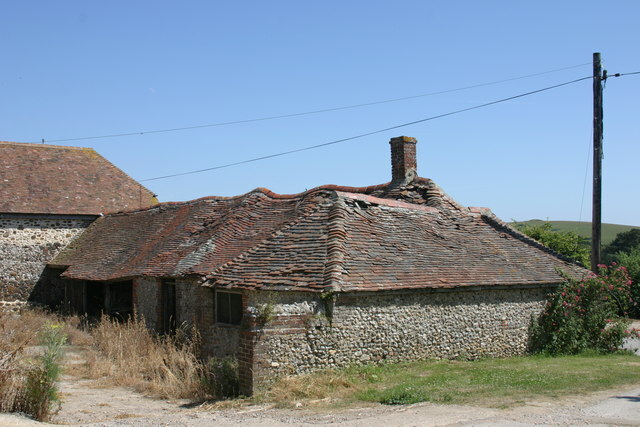 South of cottage, at east end, an attached single-storey range of farm buildings with brick and flint walls and double roman tiled roof. Circa mid C19. Former stables or cowsheds - part now used as shop. Brick and flintwalls, tiled roof. Single-storey. North elevation has timber doors and casement windows. South elevation has a pair of ledged doors under a raised section of roof - also a single ledged door. Extension at west end has flint and brick walls and tiled roof. A good group of C19 farm buildings. This poem, from a book of Poems, "Farther Fields" by the late Hugh Simpson of Newlands Farm, West Lulworth, Dorset, tells a poignant story that seems particularly appropriate. I include it here as a tribute to all those who took part in what is now often referred to as 'The Longest Day'. Hugh was the father of a good friend of mine, Bob, G3SLG. I will never forget the happy hours spent in and around Newlands Farm in my early teens 'playing' with Wireless. The gateway 'Daggers Gate' is believed to mark a witch's grave, and is said to be haunted by her ghost. It acquired its unusual name in 1789, after farmer Sam Varnell was stabbed and killed at the spot by the daughter of the supposed witch. Environmental Stewardship - more biodiversity? 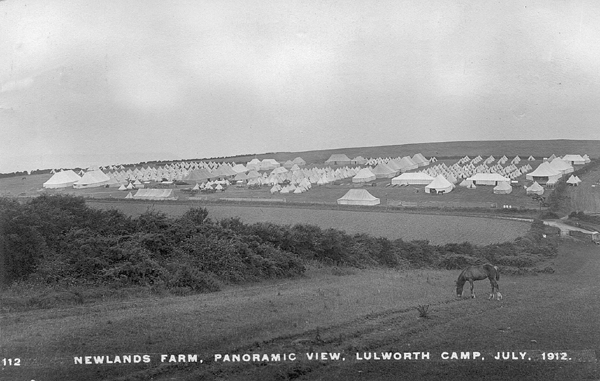 My talk presents a brief history of agri-environment schemes at Newlands Farm, West Lulworth. The farm covers about 700 acres, of which about 200 are permanent grassland. My first agri-environment scheme started in 1992 with 25 acres of arable reversion under Countryside Stewardship and a management agreement with English Nature on the chalk downland by the sea. This was renewed in 2002, with the addition of arable options. In 2006 all the previous agreements closed, and a new ELS/HLS agreement started in August consisting of a variety of downland management, archaeological and arable measures, aimed at protecting the natural environment and increasing biodiversity on the farm. The downland specifications include no fertilizers or widespread use of pesticides, and look to mixed grazing by cattle and sheep to achieve a bio-diverse sward. On the arable side, a wide range of measures have been adopted, from beetle banks to bird food strips. The main target species is the Grey Partridge, which is already responding to the diverse environment on the farm. I believe that you do not have to be Organic to encourage biodiversity, and have proved that carefully targeted measures can be of great benefit to wildlife.